Purchase to earn 27 Points! 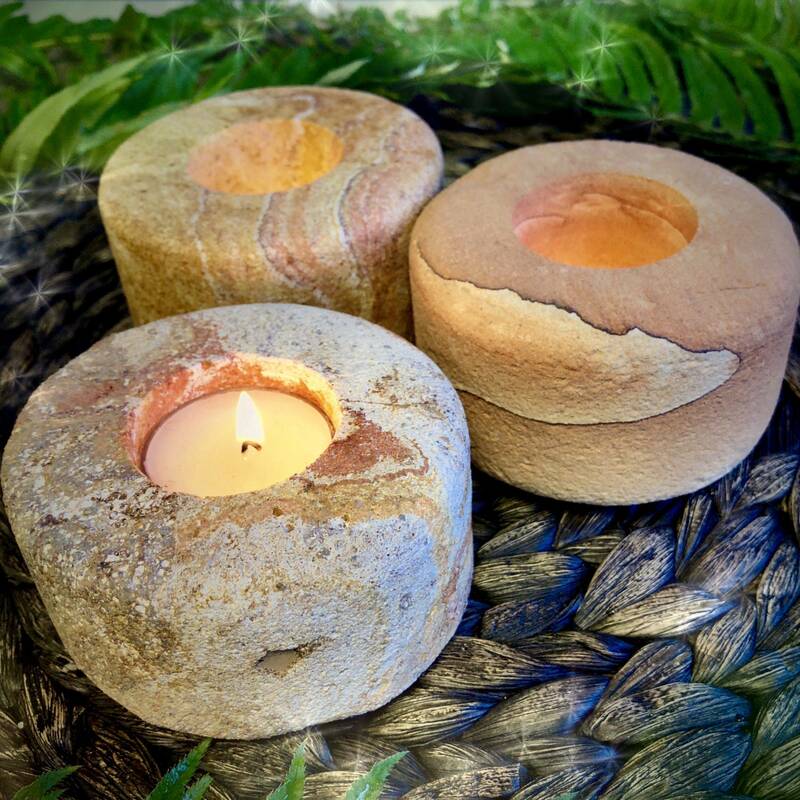 These breathtaking Zion Tea Light Holders pulsate with the ancient energy and infinite wisdom of the Earth. Carved from Zion sandstone, they are like having altar-sized versions of the spectacular giant rock formations and sand dunes of Utah’s Zion National Park right at your fingertips! Complete with an intuitively selected tea light, these Zion Tea Light Holders will bring all of the majesty, expansiveness, and knowledge of old right into the comfort of your home. Mother Nature is the master creator and artisan, and these tea light holders are a luminescent example of this truth! The beauty of these pieces is simply unparalleled — only Mother Nature herself could offer up such intricate brilliance. 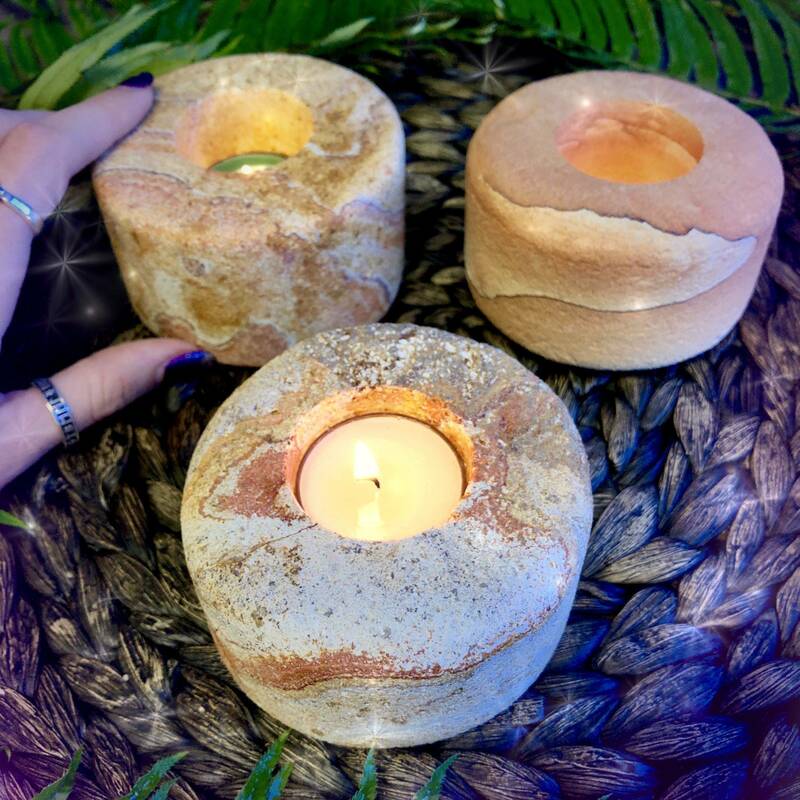 These spectacular Zion Tea Light Holders hold Gaia’s ancient wisdom and serve as portal pieces and vortexes back to when Zion sandstone was simply shallow ocean bottoms and swamplands. They vibrate with and emanate high-frequency energies that have been stored for over 225 million years. The sandstone was created by mineral-filled waters that slowly filtered compacted sediment layers. 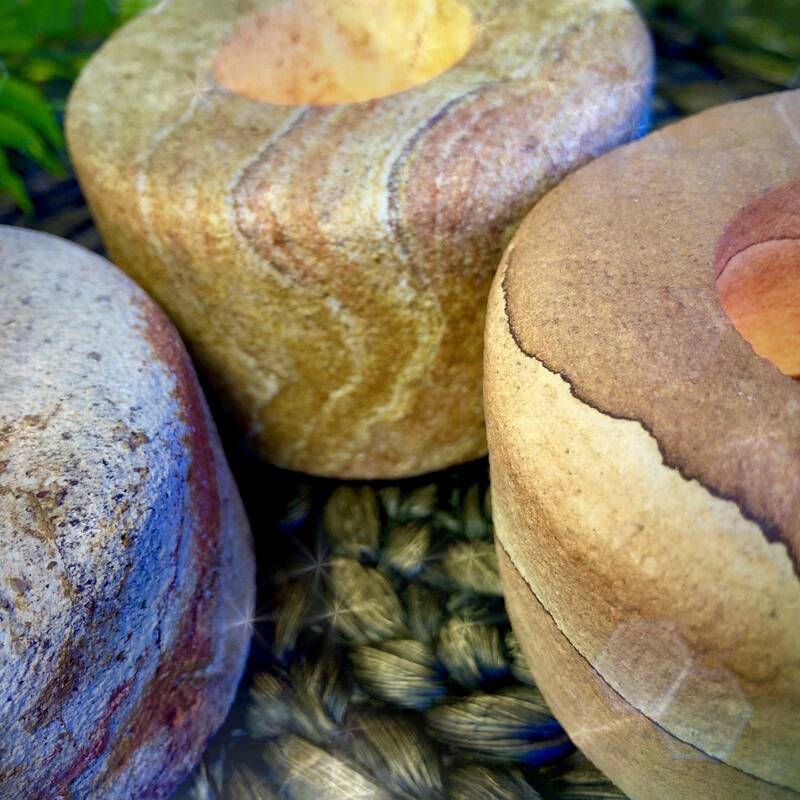 Iron oxide, calcium carbonate, and silica transformed the layers into stone over extended periods of time and created the exquisite lines and markings you see on these tea light holders. 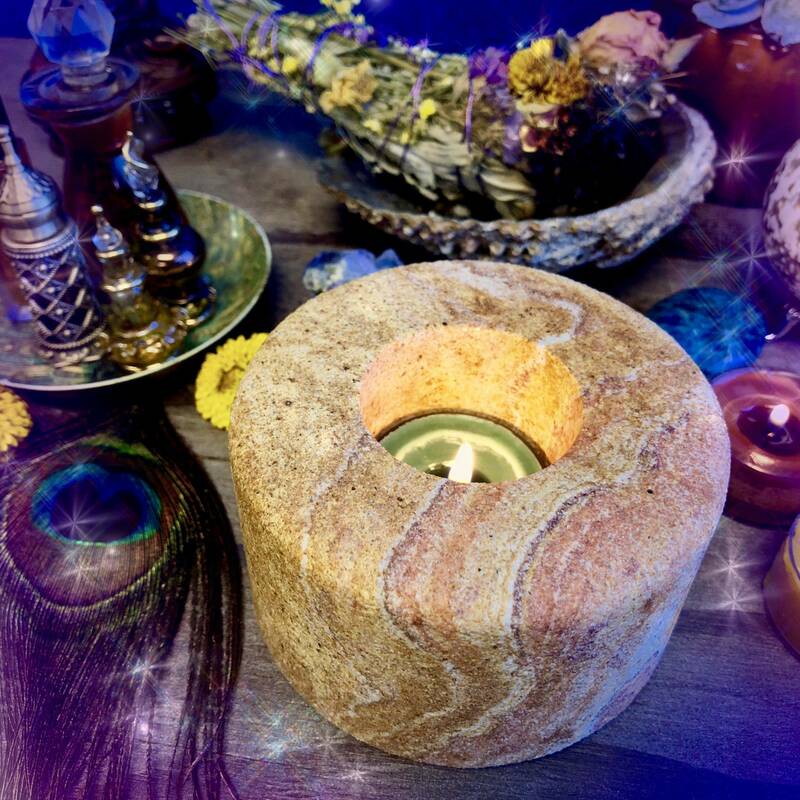 Place one of these beautiful Zion Tea Light Holders on your altar, in your meditation room, or in any room in your home or office space to bring forth more of Gaia’s wise and grounding energy. Place a lit tea light within yours and meditate, and as you do so, imagine the ancient and deep secrets of Mother Earth being whispered to you, bringing you a message of love, compassion, and strength. This listing is for one (1) Zion Tea Light Holder (about 3.75” in size) with one (1) intuitively selected tea light. Yours will arrive lovingly parceled along with a single leaf of white sage and a card describing the properties of the stone.